As a nurse, you have a vital role to play in supporting people with chronic conditions, such as cardiovascular disease, diabetes and asthma, among others. 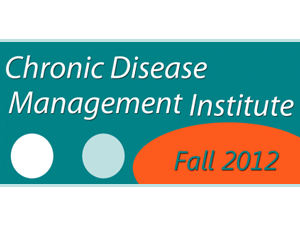 Register today for this unique five-day learning institute focused on one of the fastest emerging concerns in health care today: Chronic Disease. This institute will provide nurses and other health care professionals with the theory, techniques and tools they need to help patients take the lead in their own care. Learn from the experts. Help your clients/patients manage chronic disease!